Dairyland Greyhound Park is said to be Wisconsin's premier greyhound race track. It has a luxurious dining room which can accommodate 1,600 guests at a time. Dairyland Greyhound Park also has 10 concession stands and eight bars located throughout the sprawling facility. 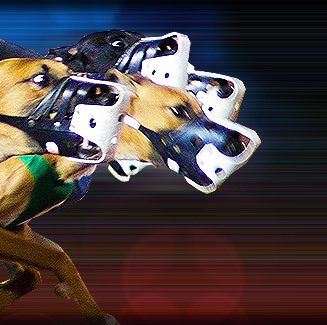 Established in 1990, Dairyland Greyhound Park has withstood the trials of greyhound racing in Wisconsin. While other greyhound tracks in the state have closed, Dairyland Greyhound Park continues to draw greyhound racing aficionados. Heated track: Approximately five miles of plastic, insulated tubing six inches beneath surface with a heated "anti-freeze" and water mixture flowing throughout. Dairy Land Greyhound Park is located at 104th Avenue, Kenosha, Wisconsin, USA.